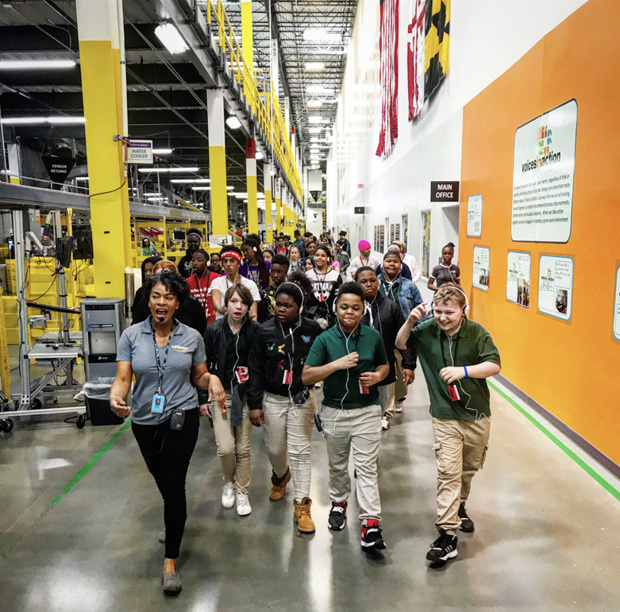 More than 100 students from four local schools got a first-hand look at robotics in action in a tour of Amazon’s Baltimore fulfillment center April 13 in the Y in Central Maryland’s celebration of National Robotics Week. 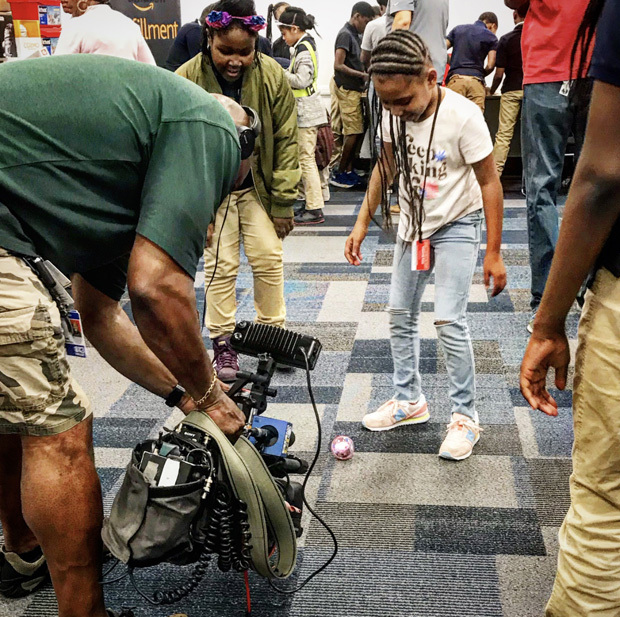 The students from Moravia Elementary, Holabird and Walter P. Carter Middle and Forest Park High schools, which are all Y Community Schools, toured the facility followed by science, technology, engineering and math (STEM) activities as well as surprise STEM donations to each tour group. 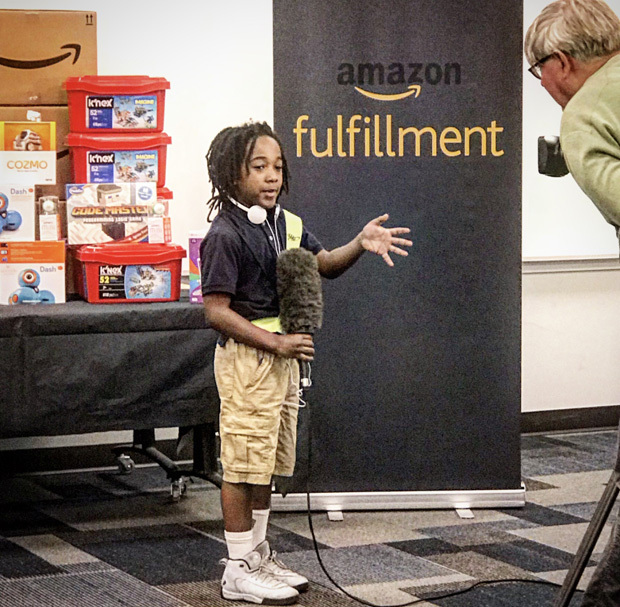 The students who attended the “Day at Amazon” have an interest in robotics and participate in the Y’s after-school enrichment programming, which includes Y STEM, Robotics Club or Next Generation Scholars. 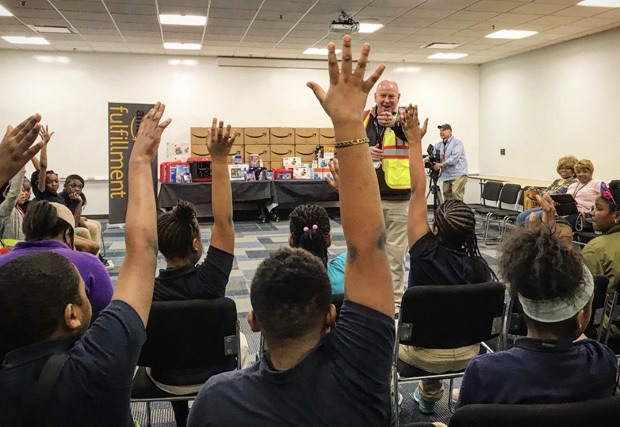 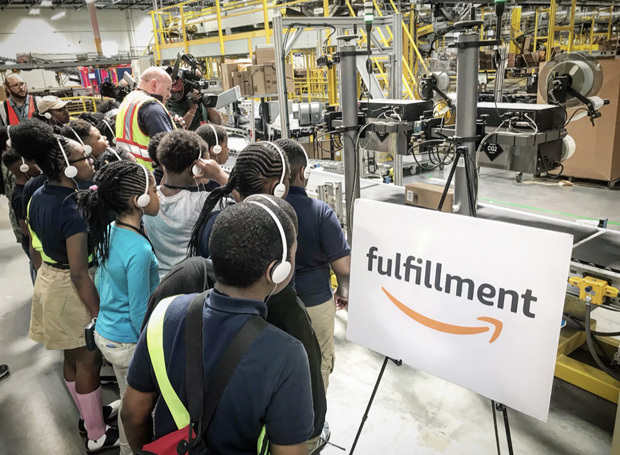 Shan Byrne, director of operations for Amazon’s Baltimore fulfillment center, said students asked thought-provoking questions on the tour and were clearly correlating what they are learning at school to the innovative, real-life operations they observed on the tour. 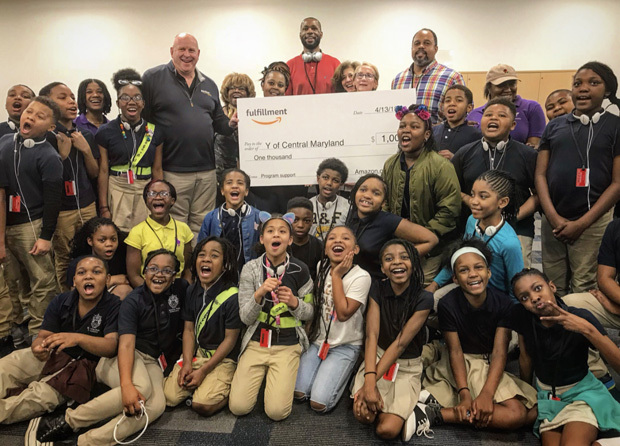 Following the tours, Amazon donated $1,000 to the Y in support of its charitable mission, along with a donation of $5,000 in STEM educational items, such as Kinex, Codemasters, Sphero robots, 3D printers and other equipment to the individual schools.